Marine archaeologists have discovered some intriguing artifacts in the wreck of a ship belonging to the Crusaders in Acre, Israel. It dates to the time of the valiant last stand by the few remaining knights and mercenaries who died heroically defending the walls of the last powerful Christian fortress in the Holy Land. The Crusader kingdom in the Holy Land began to collapse in the later part of the 13th century. 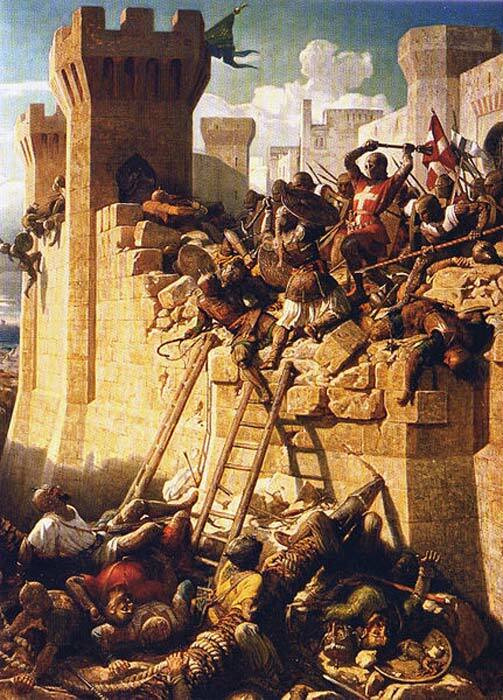 The fall of Jaffa and Antioch in 1268 to the Muslims forced Louis IX to undertake the Eighth Crusade (1270), which was cut short by his death in Tunisia. The Ninth Crusade (1271–72), was led by Prince Edward, who landed at Acre but retired after concluding a truce. 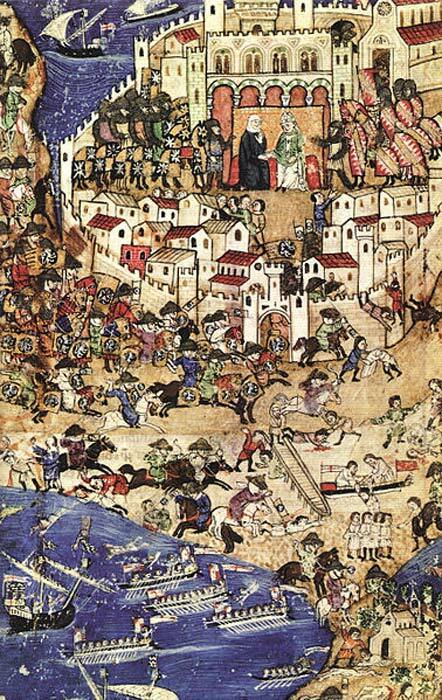 In 1289, Tripoli fell to the Muslims, leaving Acre as the only remaining Christian fortress in the Holy Land. Capturing Acre was extremely crucial from a geopolitical and strategical point of view for the Mamluks, as Western European forces had used the site for a very long time as a landing point for European soldiers, knights, and horses, as well as an international commercial spot for the export of sugar, spices, glass, and textiles back to Europe. During the spring of 1291 , the Egyptian sultan Al-Ashraf Khalil with his immense forces (over 100,000 cavalry and foot soldiers) attacked the fortress in Acre and for six weeks the siege dragged on - until the Mamluks took the outer wall. The Military Orders drove back the Mamluks temporarily, but three days later the inner wall was breached. King Henry escaped, but the bulk of the defenders and most of the citizens perished in the fighting or were sold into slavery. The surviving knights fell back to their fortress, resisting for ten days, until the Mamluks broke through, killing them. Western Christianity would never again establish a firm foothold in the Middle East. Marine archaeologists from Haifa University, Prof. Michal Artzy and Dr. Ehud Galili, led the exploration of the Crusader shipwreck. The ship was severely damaged during the construction of the modern harbor of Acre, while the surviving wreckage includes some ballast-covered wooden planks, the ship’s keel, and a few sections of its hull. Carbon dating showed that the wood used to construct the hull dates to between 1062 AD and 1250 AD. Among the keel and planks that remain, thirty impressive golden coins were also found according to an article appearing in Haaretz . Robert Kool of Israel Antiquities Authority identified the coins as "florins," which were used in Florence during the 1200’s. Historical firsthand sources from the Siege of Acre recorded that nobles and merchants used such coins to bribe the owners of the boats in order to buy their fleet. 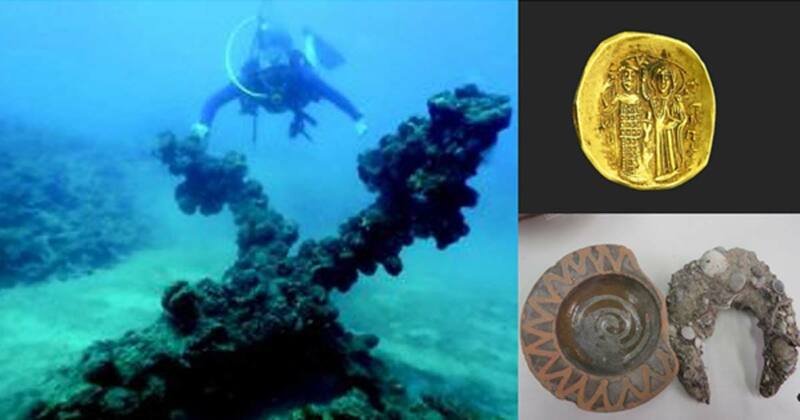 In addition to the golden coins found near the wreckage, marine archaeologists also found imported ceramic bowls and jugs from southern Italy, Syria, and Cyprus; corroded pieces of iron, mostly nails, and anchors. Excavation work in the area began last year and the impressive new finds are now coming to light.